Fitbit’s popular line of activity-tracking wristbands are designed to help you meet your fitness goals, but the company is going beyond simple step counts. Your Fitbit can actually be the most effective alarm clock you’ve ever used—just strap it to your wrist, set an alarm in-app, and let the band vibrate your arm awake. It beats the iPhone alarm ringtone by a mile. Fitbit is taking advantage of that wrist real estate and boosting its sleep-tracking capabilities with an app update that rolls out on Monday, which includes a brand new feature called Sleep Schedules. The new feature, which is integrated in every Fitbit band with automatic sleep-tracking abilities, give you customized sleep goals based on all the data your Fitbit has collected around your sleep habits. (If you don’t wear your Fitbit to bed, the app will have less info to work with.) The new Sleep Schedules feature will let you set bedtime and wake-up reminders that will send you push notifications to guilt you into going to bed sooner and waking up on time. 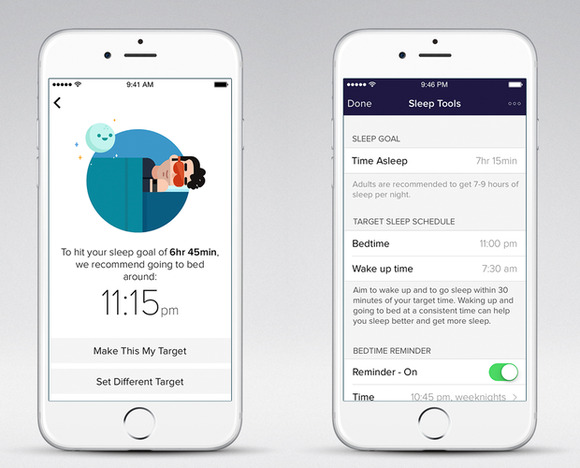 The app will chart your sleeping habits in a history tab so you can see if you’re meeting your sleep targets or falling short. Sleep goals and reminders are totally customizeable, so if you’re one of those rare people who can function on five hours of sleep, more power to you. I’m planning to aim for a more reasonable 7.5 hours. Fitbit says this is the first in a wave of new features designed around encouraging you to get more Z’s. The company recruited a panel of sleep experts to guide its approach. It took a look at some 10 million Fitbit wearers’ stats from last year to figure out the correlation between sleep and activity. Some interesting factoids: Fitbit users that get seven to eight hours of sleep have a lower BMI than those that only get three or four hours of rest. They go to bed at a regular, earlier bedtime than their insomniac counterparts, which unsurprisingly helps them be more active during the day. Women get more sleep than men—25 minutes more sleep per night on average, Fitbit reported. The new Sleep Schedules feature will be pushed out in a Fitbit update on Monday and will work with Fitbits that automatically track sleep. 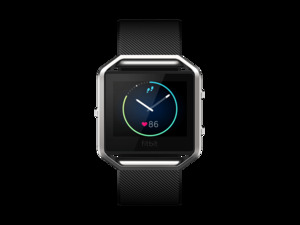 The new Fitbit Blaze and Alta are included, of course, as are the Charge HR, Charge, Surge, and Flex.